False modesty is worse - far worse- than false pride. Case in point - between gulps of Ros?Jason Pierce, Spiritualised's tubercular front man and patron saint of stoners, has recently been telling the muso press that 'Amazing Grace', the band's recent release, was inspired by the guitar driven rawness of the White Stripes. 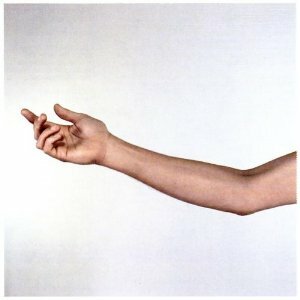 While 'Let it come down', the band's previous release, was awash with strings and things, a marriage of Mantovani and heroin chic, 'This little life of mine' -'Amazing Grace's roaring blizzard of an opener - is a clear signal that Jason's White Stripes comparison is bogus and entirely unfounded. Over a mule kicking backbeat and with guitars wrapped in feedback so mangled it cuts your ears off, this is rock and roll in all its stinking majestic glory. In comparison to this monster Jack and Meg's best efforts sound like Peters and Lee on prozac. Singing into a gale of sound, Pierce screams his heart out over an amalgam of the best moments the Jesus and Mary Chain, the Membranes, the Fall, the Cramps and the Lone Wolves could spew out, and more besides. This is depraved ugly white noise kicking and moaning for all its worth. Track 2, 'She kissed me, it felt like a hit', is more of same. But sleazier. 'Hold on' starts out like another musical hurricane but morphs into a weepy gospel style shouter which fades into silence, while 'Oh Baby' is a delicious ballad. Pierce sounds like he's singing from his deathbed over a dreamy muted string accompaniment music made in some sleepy stoned heaven. 'The power and the glory', on the other hand, is a turkey: bad jazz, tedious arrangements, discordant brass, a real aural enema. But 'Lord let it rain one me' is another gospel gem, and 'Cheapster' and 'Rated X' are bound to become Spiritualised classics. The crits have accused Spiritualised of cashing in the dreaded 'change of direction' ticket but 'Amazing Grace' is pretty much of a piece with the band's other material, shot through a different filter. It's all there, presided over by Jason, half saviour half satyr-there's the rock and roll, the near hymnal gospel workouts, the gut wrenching ballads, and the crappy instrumental fillers. It's formulaic, of course it is-Jason may be accused of being a kind of Van Morrison for the narcotically challenged but I'd suspect it's a label he would wear gladly.